Once the dispute gets personal, the scene is set for the conflict to escalate and damage or even destroy the relationship. 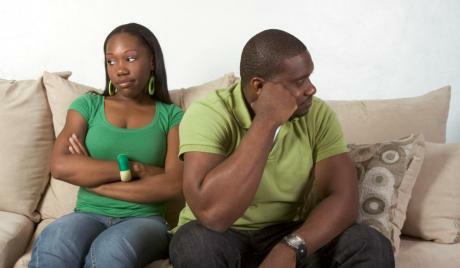 Sometimes the reason for the conflict IS the relationship, which may involve toxic dynamics that cause endless conflict. The problem is the conflict, not the apparent issue, you know this for sure if there are constant or repeated arguments about anything and everything. So the argument is the outlet for the conflict, which has a life of its own. One person may try to stop the argument, but the other may block this, arguing relentlessly, expanding the area of disagreement, dragging up old grudges and inventing new ones. Mediators know about conflict, they start where the conflict is, not with the presenting disagreement, as that is often incidental. How can you defuse arguments? Well, first of all start where the other person is. Listen to them, understand what they are saying, show that you understand by summarising to them what they told you. Then ask them a question about it, make them think, perhaps they might not be exactly right? Always focus on the issues and speak calmly and precisely, preferably don’t sound as though you are laying down the law. Better to be questioning as people always believe things they work out for themselves. Carefully avoid personal attacks and adopt logical explanatory reasoning, never blowing things out of proportion or attacking the other person. Suggest adjourning the discussion to another time, when everyone has calmed down. Say you want to ‘think’ thus introducing the idea that people can change their minds thoughtfully without loss of face and power. Try not to tell or boss the other person, instead ask them relevant questions, which may begin ‘What if . . ‘ or ‘do you think that . . .? This entry was written by focusmediation, posted on May 15, 2014 at 9:14 am, filed under Conflict, Mediation and tagged ADR, Alternative Dispute Resolution, Conflict, Dispute resolution, Fight, Fight or Flight, Fighting, Grief, Mediation, mediation services, Relationship Breakdown, Separation. Bookmark the permalink. Follow any comments here with the RSS feed for this post. Post a comment or leave a trackback: Trackback URL.